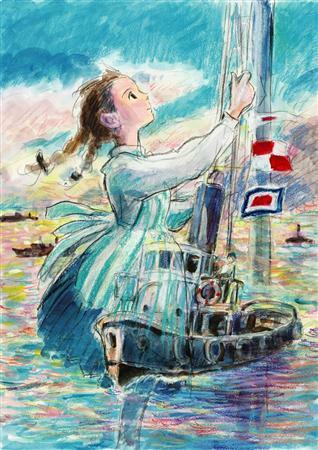 Studio Ghibli Inc’s new animation film ‘‘Kokurikozaka Kara’’ (From the Kokuriko hill) will be released in the summer of 2011, the movie’s distributor Toho Co said in a statement. The film by the leading Japanese animation studio will be directed by Goro Miyazaki, son of world-renowned animator Hayao Miyazaki, based on the 1980 namesake comic series for girls. The elder Miyazaki is credited for script writing and planning in the latest film project. It is the younger Miyazaki’s second film as director following ‘‘Tales from Earthsea’’ in 2006. Kokurikozaka kara is Japanese manga series by Tetsuro Sayama and Chizuru Takahashi which was serialized by Kodansha from January to August 1980 in the shojo manga magazine Nakayoshi. The manga is set in 1963 in Yokohama, Japan. The main character, Umi Komatsuzaki, is a high school girl who has to grow up quickly when her father goes missing.